My Rating = A* best read so far this year! It was with great trepidation that I embarked on this literary voyage as I had glanced at a few not so favourable reviews (will I ever learn??). Anyway, better to get this out of the way at the beginning – there is no chocolate, no magic, no wine, no fruit except for some rotten fruit juice. 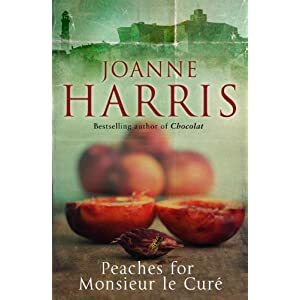 I have no doubt that Joanne Harris is ever so slightly ticked off by folk expecting her to continue writing in the same French pastoral vein but I really admire her for exploring much darker territory in her latest novel although I suspect that the story found her rather than vice-versa. I have read and loved all of her novels/short stories with the exception of Sleep Pale Sister which is waiting patiently on my bookshelves. The Evil Seed was the only one which failed to impress but I think that was just a case of the publisher reissuing her very first writing for a quick buck. So, is this a complete lane-change for Ms Harris? Not exactly, as she paved the way with Gentlemen and Players which is set in the same fictional Northern village of Malbry. However, this is a much darker tale with layers of secrets and lies – if Chocolat was Dairy Milk then this is Green and Black’s Espresso Dark Chocolate. Our anti-hero, B.B., is a 42 year old janitor at the local hospital. He still lives with his controlling (to put it mildly..) mother and spends most of his time online on his site badguysrock which seems to be a haven for social rejects with a taste for violence. This is a modern version of the epistolary novel and it reminded me of its ancestor, Liaisons Dangereuses, especially as we again have two unreliable, unappealing narrators, B.B and Albertine who communicate their thoughts, stories via posts on badguysrock and their own personal web journals. One of the strongest themes here is that of identity and how the boundaries between virtual and real life become so blurred as to become interchangeable so even the narrators themselves are unsure as to what’s fiction and what’s reality and yes, the reader does have a hard job working that out too! We’re never sure whether B.B’s crowing about the murders he’s supposedly committed is just a facade. Just as, on the internet, we are never sure about the true identies of those we communicate with on a daily basis. None of the characters are likeable. BB’s family is a dysfunctional mess, his cronies on badguysrock are social outcasts, even Albertine (reminscent of Proust’s character) is not the little Red Riding Hood figure we might imagine. Even the little blind girl, whose murder is at the core of this tale, is living a false life – smoke and mirrors aplenty! So, if you like tidy, linear stories with happy endings this is most certainly not for you. This is the second novel I’ve read this year which has marked a very different change of tack for the writer, the first of those being The Little Stranger by Sarah Waters which disturbed some of her fans as Ms Waters didn’t simply throw on previously worn narrative threads. 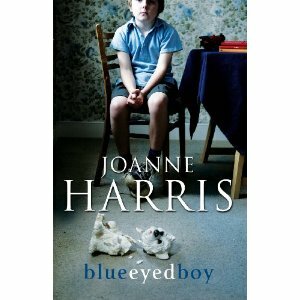 I loved The Little Stranger on its own merits, nothing to do with previous novels and surely that’s how it should be and I am delighted to report that I found blueeyedboy equally gripping. Definitely an A* from me. PS if you are interested in reading more about synaesthesia I would highly recommend Astonishing Splashes of Colour, an excellent novel by Clare Morall and in non-fiction, Born on a Blue Day by Daniel Tammet – both fascinating and highly enlightening reads.